Our program combines the latest, cutting-edge approach with good 'old fashioned' service. Highly personalized assessments, treatment plans, with community and experiential interventions. Becoming self-aware and breaking addictive cycles are an intimidating and uncomfortable process. However, once you break free of dependence and reactive decision-making, you create space to invent your own path forward. You really do have the choice to create your future… why not pursue your values? We’ll show you how to create a life and reputation that matches your values and includes your loved ones. Similar to the work involved in feeding an addiction, developing your values and new positive skills takes time, practice, and creativity. With expert support, redirecting your focus and work ethic may not be as hard as you think. Sadly, most people suffering with addiction feel stigmatized, labeled, and they will often hide due to shame and judgment. Want to talk to someone about this? With therapy, comprehensive support and your practice, you can quickly transition away from short-term external motivation that is often rooted in fear, manipulation, and instant gratification. We believe that the journey of individual and family wellness and recovery starts with personal choice. 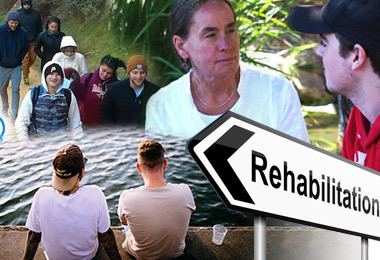 We help adults create independence in recovery through education, support, and empowerment. Once we move beyond shame, labels, and disconnection, recovery finally becomes about personal acceptance, freedom, and empowerment. The fastest and most resilient way to achieve empowerment is through ownership. “One size fits all” treatment interventions often create pressure, more shame, and unnecessary resentment for everyone involved. The choice approach is about creating a treatment path that fits you and your current abilities and resources as you move towards having the kind of life you want. Owning that path, by choosing its parts and direction, provides you with realistic and safe forms of control and motivation. Active recovery is more than simply doing the 12-steps or an alternative. It is about shifting your mindset, focus, and talents in a direction towards hope and a better way of life. Having a choice in recovery is more than not choosing substances, it is about taking responsibility for the many smaller choices that make up your life. At times, the process of making change can seem to be a painful and lonely journey. Doing the work each choice requires becomes more fulfilling and enjoyable as you begin to experience the benefits of seeing your choices more clearly. Choice Recovery provides an environment for you to learn about your choices and give encouragement and professional support to help you take necessary steps forward. As you look beyond triggers, symptoms, and pain you can see more clearly the future and values that are already yours. Substance dependence and mental health issues are two medical realities that need to be taken extremely seriously. 'Dual diagnosis' is the presence of both a substance use disorder and a mental or behavioral health condition. Sometimes one condition may contribute to, or worsen the other. Our professional team uses psychosocial interviews and addiction specific assessments to help us create direction and focus for your treatment experience. We believe focusing on labels and addictive behaviors alone restricts our perspective and your growth. Truly understanding and accepting your fundamental uniqueness is complicated, but worth the effort. The process includes exploring personal history, key relationships, current skills and abilities and your support network. We make a meaningful difference in your recovery by connecting with your reality and discovering your innate talents. Our client and support counselors walk with you through a process of self-discovery and acceptance as you apply new ways of dealing with difficult habits and thinking patterns. Your recovery does not have to be black or white, or defined by the program you decide to attend. It's your own flexible event. We partner with you and help you create a personal path to a more fulfilling and independent life by looking at each dimension of your life through a fresh lens. We really want you to succeed. Addict to Athlete activities range from training for and completing 5k runs, outdoor games, yoga, and supporting service opportunities at local races. These activities typically coincide with support groups and offer a chance to meet other individuals who are active in doing the hard work of changing the focus of their lives. Participation in these activities helps tremendously and it builds self-worth. Weekly Discussions about client creation and implementation of their Personal Recovery Path. Assessment of one’s emotional well-being, physical health, family history, relationships, personal interests, coping mechanisms, substance use history, and life events helps to build a foundation of understanding. Through this understanding we can help you create realistic and challenging goals to assist you in creating a fulfilling life outside of addiction. Collaborative treatment planning is crucial to successful therapeutic outcomes. Your therapist will ask for your involvement and the involvement of those close to you in order to create a treatment plan that truly reflects your current and long-term goals. Family involvement can help you to be more accountable for the objectives you engage in and be a support to you in achieving your identified goals. 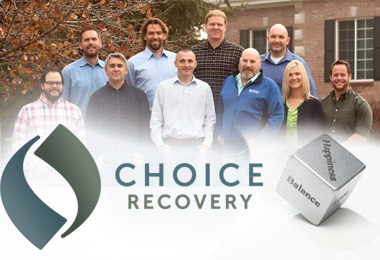 Choice Recovery utilizes research-based clinical methods to enhance your progress in recovery. The more you understand, invest, and practice your news skills, the more likely you are to keep going! We have designed a progressive program that utilizes mindfulness, choices, social support, proactive problem-solving, and skilled therapeutic staff to help you create a meaningful life outside addiction; create a life you want and can enjoy living. Regardless of your previous treatment or recovery experience, our goal is to expose you to a wide range of support groups, mental health tools, and perspectives so you can make educated decisions about self-management and independence. The more you understand, invest, and practice your news skills, the more likely you are to keep going! Freely creating your own plan and direction is what ownership and fulfillment are all about. Your recovery lifestyle and sober future goals should energize and motivate you and not feel like a sentence or burden. That is easier said than done. It takes practice, focus, and support. Let us help you create the foundation for the life you deserve. We do not believe in the attractive fantasy that damage simply repairs itself through substance abstinence. Although abstinence is a crucial factor for growth, the gaps and wounds caused by addiction must also be treated for true healing to occur. We help each of our clients and families get “unstuck” from this one-dimensional view of growth and gain a broader perspective of personal development. This perspective leads to more varied opportunities of change and healing. We help each family and individual look at all the different parts of being an imperfect human. We teach everyone to slow down and examine each dimension of “self” in order to realize needs and strengths that are often overlooked. 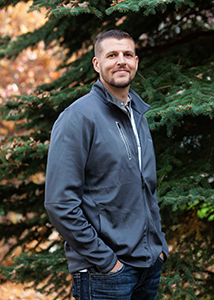 At Choice Recovery, we create an environment to help individuals thoroughly examine Mental and Emotional Wellness, Biological Wellness, Family System Wellness, Social and Interpersonal Wellness, Transcendence, and Daily Skills that bring balance to their unique worlds. Choice Recovery works with clients to create a personalized recovery plan based on their needs. We offer a range of traditional and non-traditional approaches that form the basis of a recovery plan.